THOSE WHO WANT TO COMMENT ARE TO KEEP IN MIND THAT THEIR COMMENTS MUST BE BASED STRICTLY ON THE CONTENTS OF THIS ARTICLE. REFERENCES MUST INCLUDE ONLY THE NOBLE QURAN OR HISTORICAL DATA OR LOGIC, NOT ANOTHER HADITH. ONE HADITH CANNOT TESTIFY FOR ANOTHER HADITH JUST AS ONE THIEF CANNOT TESTIFY FOR ANOTHER THIEF IN A COURT OF LAW. THAT WOULD BE FELONY. ALSO, ANY COMMENTS DIRECTED PERSONALLY AT THE AUTHOR OR COLLEAGUES WILL BE FILTERED / DELETED AUTOMATICALLY. ZERO TOLERANCE FOR ANY SUB-STANDARD APPROACH INVOLVING PERSONAL ATTACKS, INSULTS OR ACCUSATIONS. We know from history that there had been battles between Muslims, that is, Ali (RA) and Aisha (RA), Ali (RA) and Muawiya(RA). So according to the following narrations all of them are people of Hellfire. 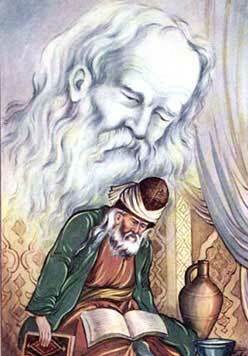 While I was going to help this man (Ali Ibn Abi Talib), Abu Bakra met me and asked, "Where are you going?" I replied, "I am going to help that person." He said, "Go back for I have heard Allah's Apostle saying, 'When two Muslims fight (meet) each other with their swords, both the murderer as well as the murdered will go to the Hell-fire.' I said, 'O Allah's Apostle! It is all right for the murderer but what about the murdered one?' Allah's Apostle replied, "He surely had the intention to kill his companion." The fabricators of Hadith, the so called Imams and their associates have suggested to the simple and ignorant people that there are many problems of life where the Holy Qur'aan gives no guidance or is silent or it does not clearly mention, and only Hadith describes such problems and gives guidance. The fabricators of Hadith have an agenda based on disregarding the Qur'aan, the Prophet and animosity towards his companions. The matter to ponder is when two Muslims or group of Muslims take up their weapons against each other, does the Qur'aan give any guidance in this or not? If yes, then whether it clearly describes or is ambiguous so that people have to refer to Qum, Bukhara, Tirmiz,Nishapur or Deoband for its clarification? "And if two parties of believers fall to fighting, then make peace between them. And if one party of them doeth wrong to the other, fight ye that which doeth wrong till it return unto the ordinance of Allah; then, if it return, make peace between them justly, and act equitably. Lo! Allah loveth the equitable." "The believers are naught else than brothers. Therefore make peace between your brethren and observe your duty to Allah that haply ye may obtain mercy." When this was shown to a Hadith lover, his simple answer was “it is a weak narration.” Then why do you call Bukhari "SAHIH?" Why don’t you throw it out? He was simply silent and he blushed. We can observe the searingly outrageous characteristics of the above Ahadith. First of all, Abu Bakr Siddiq was the closest companion of the Prophet (sw). He wouldn't even think of expressing such rash ideas that clearly violate the Noble Quran. Still worse, to falsely dump the forgery by using the name of the Prophet (sw). These two Hadiths brazenly slander the Prophet (sw) as well as Abu Bakr. Secondly, the narration by Al-Ahnaf bin Qais also insinuates a belittling tone towards Ali bin Abu Talib by referring to him as "this man." Thirdly and most importantly, here is the mother of all blunders in both the above Hadiths. The historical data has been completely bungled! Obviously, either the narrator or the compiler, whoever is responsible for the contents of the above two narrations, were totally ignorant of history and therefore had no idea of the dates of historical events. The Battle of Camel was fought much after the demise of Abu Bakr. Abu Bakr passed away on 634 AD, two years after the Prophet (sw). The Battle of Camel was fought on 656 AD in Basra - 22 years later! How on earth could the narrator, Al-Ahnaf bin Qais, meet Abu Bakr on the day or on the night of the Battle of Camel when Abu Bakr had died 22 years earlier ?? Silence of the people over such an eye-catching discrepancy also exposes the ignorance of the masses along with their cowardice of being afraid to ask questions. Any one with basic knowledge of Islamic history should know that the Battle of Camel or Jamal was fought during the Caliphate of Ali. And Abu Bakr passed away more than 2 decades earlier. How could he possibly be present during the time of this Battle? Abu Bakr and Abu Bakra (also Abu Bakrata) are two different persons! The Ahadith did not mention Abu Bakr (first Caliph) but another Companion Abu Bakra! Okay, thank you for pointing that out .. although the hadith institution itself highlights nothing to differentiate between the two, you may be right that they weren't the same persons. So that clears up one obstacle of this hadith. The rest still remain particularly these narrations contradicting Quranic Verses 49/9 and 49/10.